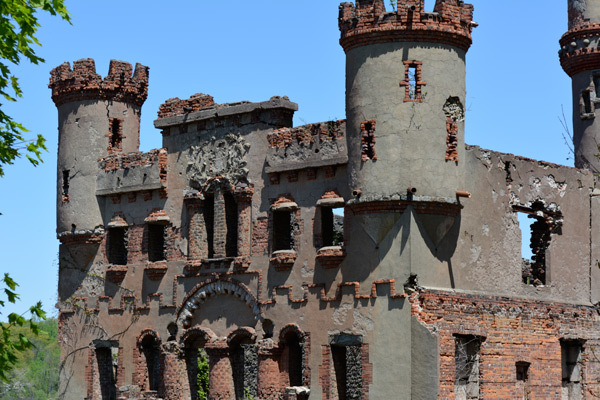 We visited Bannerman’s Castle, located on Pollepel Island near Beacon, NY. There is a ferry service from Beacon. It seemed like a fun adventure and I always love seeing interesting architecture. Well, there wasn’t much left of the castle but part of the facade. There was a tour guide who was a bit of a character. He seemed to have trouble remembering some of his facts which became kind of amusing and we had a good laugh. He told us Francis Bannerman was born in Scotland in 1851 and at the age of 3 his family moved to Brooklyn, NY. In 1865 he started his business, selling equipment of every description as well as ammunition ( kind of a scrap dealer). NYC city officials forced him to move storage of the ammunitions from his business in Brooklyn to a safer place outside city limits. 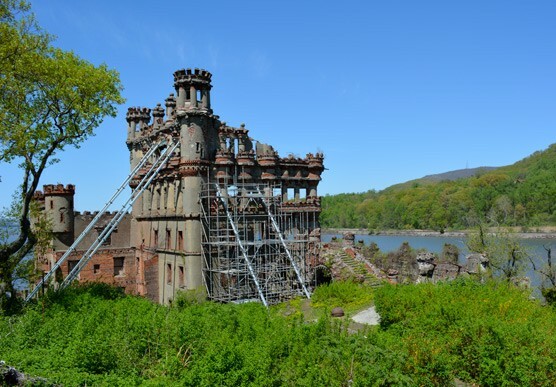 That’s when he purchased Pollepel Island from the Taft family in 1900. He built a castle to look like ones in Scotland to house the ammunition. He also built a home for his wife and 3 sons to stay in the summertime. 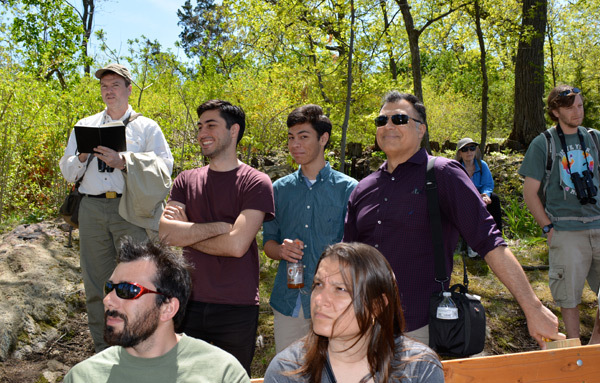 My husband and sons listening to the tour guide that was very amusing. It wasn’t a particularly pretty castle, even in better times although according to our tour guide, a lot of care went into the design. 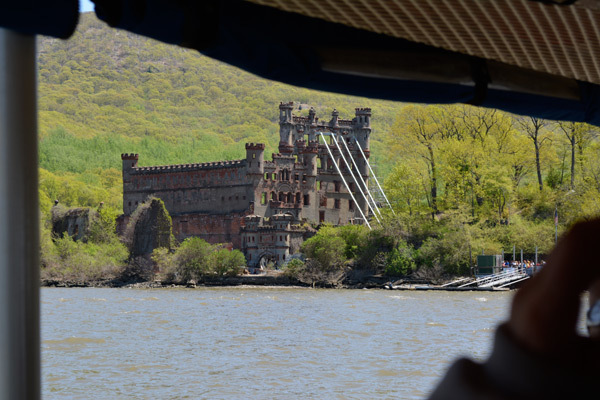 Bannerman used this eye catching structure as advertisement for his business seen by people passing on the Hudson River. He even had a billboard of sorts on the side of the castle. It was such a gorgeous day, walking around and taking in the beautiful views even if the castle was a bit of a disappointment. My sons and I enjoying the day with the beautiful Hudson River in the background.